You probably haven’t started thinking about turkey and cranberry sauce, but maybe it’s time you did. No, you don’t need to go grocery shopping or plan your Thanksgiving feast quite yet, but as your hosting experts, we’re telling all you website owners out there: you need to start strategizing for the epic holiday weekend. Mark it on your calendar and circle it in red: November 23rd is Black Friday. And don’t forget its sister shopping day, Cyber Monday. The Thanksgiving holiday weekend is a record-shattering buying event that you’ll want to get on board with. Last year, Adobe Analytics reported that Black Friday brought in more than $7.9 billion in sales, a nearly 18 percent increase from 2016. Those aren’t the only eye-opening numbers; a survey reported that more than 64 million Americans shopped online during the holiday shopping season’s harbinger weekend. That’s a lot of potential customers — and potential sales — for your business. People are increasingly turning to their screens for Black Friday deals, rather than battling crowds in retail stores. Black Friday in-store shopping decreased nearly 2 percent from 2016, and dollars spent online during Black Friday 2017 — a whopping 5 billion — increased by 16.9 percent from last year, making it a record year for e-commerce. And don’t underestimate Cyber Monday’s money-making potential; in 2017, Cyber Monday brought in $6.59 billion online, a 16.8 percent jump from the previous year and markedly the biggest online shopping day in history. A record-breaking day for e-sales, in fact. Meaning: to make waves during the holiday shopping season, your site has to be whip-quick and bug-free, not to mention stocked with quality products and smart navigation. So what’s on your Black Friday/Cyber Monday To-Do list? Well, you need to prep. And we can help. First, we’ll talk strategy, helping you plan out the best ways to get your sales in front of customers. Then we’ll get into the nuts and bolts of prepping your sites for the e-crowds, one technical task at a time. With a website primed for a critical weekend of sales, you can put on your stretchy pants and enjoy another slice of pumpkin pie — while you watch your business grow. Whether your small biz is a team of one or one hundred, you need to have a pow wow, STAT. It’s crucial that you organize a Black Friday Plan of Attack before your site gets left out in the dust. With an increased focus on online sales during the holiday shopping season, you have to be ready. Start with baby steps. It’s smart first to take a look at where your business stands. What are your goals? How established is your brand? How is your social media presence? And what are you hoping for — in sales terms and otherwise — for the big Thanksgiving shopping holiday? Knowing where you are and where you want to go helps you to set appropriate goals and put a plan in place to accomplish them. Then there’s physical merchandise or if you sell a service or non-physical commodity, virtual goods. In the case of tangible products, you will need to take stock of your product and increase inventory (and shipping supplies) in anticipation of sales, especially of your best-selling items, so that those ever-important buying days run as smoothly as possible. Keep a spreadsheet of inventory handy — this can help you stay organized and be useful if contingencies arise (more on this later). Regardless of what you sell, you need to make sure you have the tools in place to run a sale on your site, and figure out the kind of sale you want to offer — based on lifetime customer value or cost per acquisition stats — or if you’d be better to provide more out-of-the-box savings, like service upgrades or add-ons. So, make some calculations and gather your data — you need this information for our next stage of planning. The sooner you have a plan in place, the sooner you can bring attention to your deals and prep customers to bring their holiday dollars to your shop. 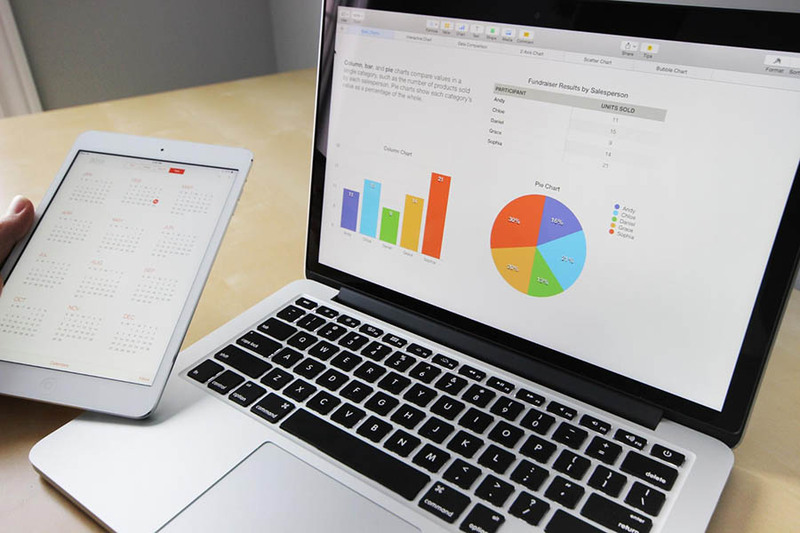 A simple Excel sheet works well for outlining planned sales; identify products or a set discount, regular and sale prices, the sale timeline, and how you anticipate promoting that sale. You may need to talk with your supplier (if it’s not you) to work out the production details of increased demand. Also, keep in mind that most Black Friday and Cyber Monday shoppers haven’t completed their holiday shopping at the end of the Thanksgiving spending spree. (In fact, only a minuscule 12 percent reported being more than halfway done by Black Friday time last year.) By the end of the November-December holiday season, shoppers will have spent more than $691 billion, so don’t see Black Friday as the end-all, be-all. In your plan, include actions (and additional incentives) that encourage Black Friday shoppers to return to your site throughout their holiday shopping — and eventually, to become loyal customers. Now that you know what kind of sales you’re going to offer, you need to disseminate that information effectively to consumers. Advertise well ahead of time and prep your customers for buying. Now, hopefully, you’ve invested enough of your budget into marketing thoroughly for Black Friday and Cyber Monday deals, but if not, there are easy and low-budget ways you can advertise — creatively. Email truly is a star marketing tool, and a healthy, growing email list is invaluable for your small business or website. Sending messages to those who have chosen to be engaged with your business allows you to tailor personalized messages that have the most impact come buying time. 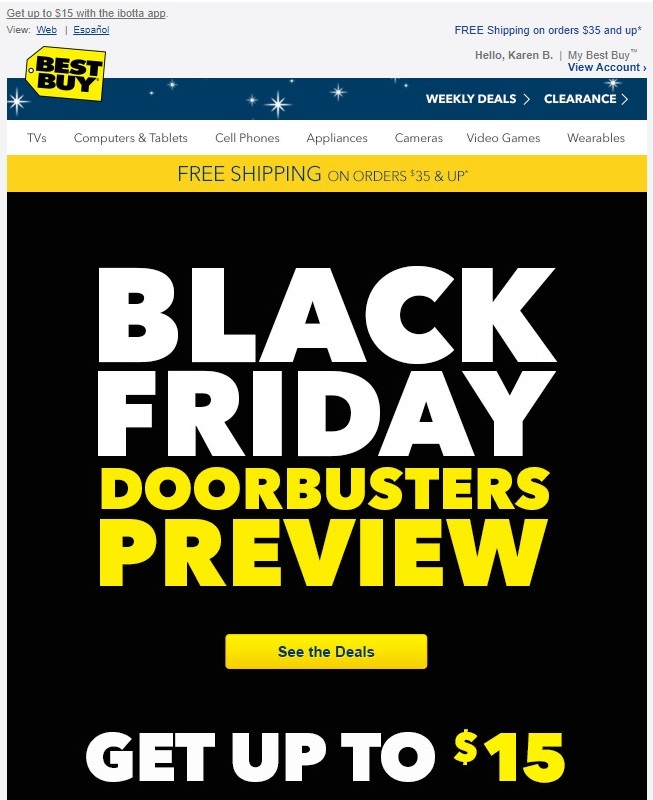 Electronics giant Best Buy hypes up Black Friday discounts with anticipatory email messages. Email messages can prep your most loyal consumers for upcoming sales, reward frequent buyers, and specific types of communications (like abandoned cart emails) help wary or slow-to-act visitors to complete unfinished purchases. Your promotions can also help you to build an email list. It’s like an epic circle of benefits. You’ve got mail! Learn how to build an epic email list your WordPress site. While social media tends to cast a wider net in terms of marketing, these platforms can help you tease upcoming promotions and provide creative ways of distributing deals. You can also boost your posts to target specific audiences or reach a larger crowd for only pennies on the dollar. Tailor your content to each platform for maximum effectiveness. Create a calendar to help you determine and plan out the best times to distribute marketing content — then stick to it! Consistency rules. Sure, the saying goes that the early bird gets the worm, but if you’re planning deals late in the game, all hope is not lost. While SEO and other organic traffic drivers take time to implement, pay-per-click advertising allows you to pay for more clicks (hence the name) right now. 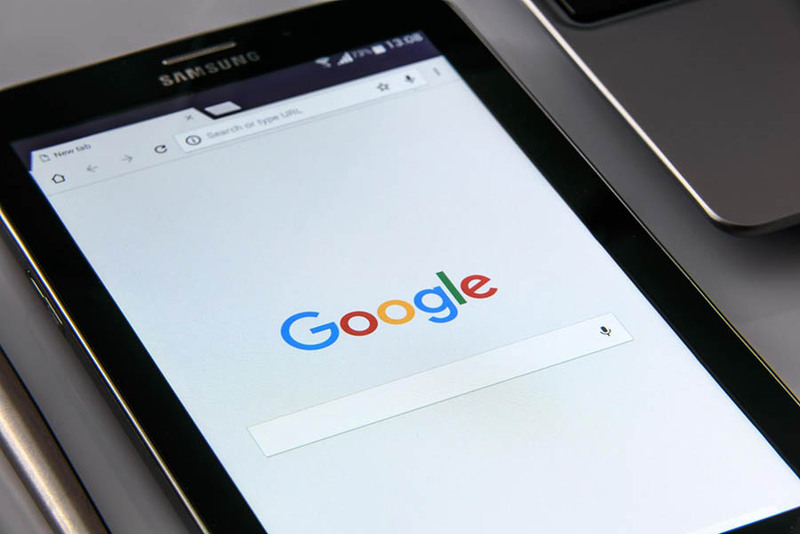 If you’ve got more of a marketing budget at your disposal, you can utilize PPC to have more control over your search engine rankings and at best, turn clicks into customers and see strong ROI. The basic steps: create an ad and make bids on virtual auctions for top placement in search engines. Check out Google AdWords to learn more and start generating more traffic to your site. With a tidal wave of Black Friday and Cyber Monday deals flooding every inch of the web, your small biz needs to set itself apart against other small operations and big-name retailers. Extra touches can help distinguish your site from others; consider offering a gift (or an additional discount on future return purchases) with each sale, expedited or free shipping, special packaging, or customized thanks-for-shopping messages from your business. Watch your industry competitors and work to have the leg up. Rifle Paper Co. incentivizes customer purchases with bonus gifts. And even if manpower or budget limitations restrict you from including additional incentives, always provide hassle-free returns and friendly, prompt customer service. Emphasize the personality and care offered by your small business versus big-box retailers. 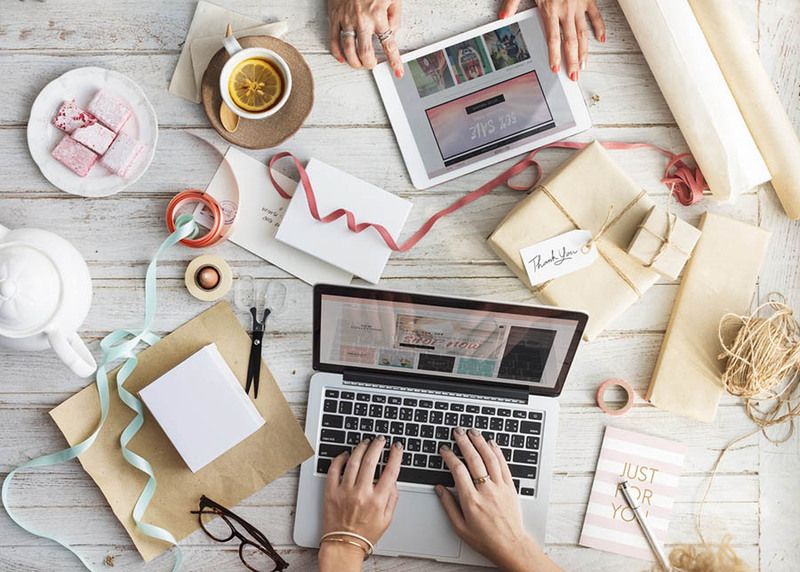 Customers like to support small businesses and, in most cases, will appreciate, remember, and reward a more intimate online shopping experience. Time is on your side; with your early-bird preparation, you can plan out and prep copy that is engaging, personable, and error-free. Same with photos and graphics; planning ahead guarantees you have attractive visuals that impress and persuade. 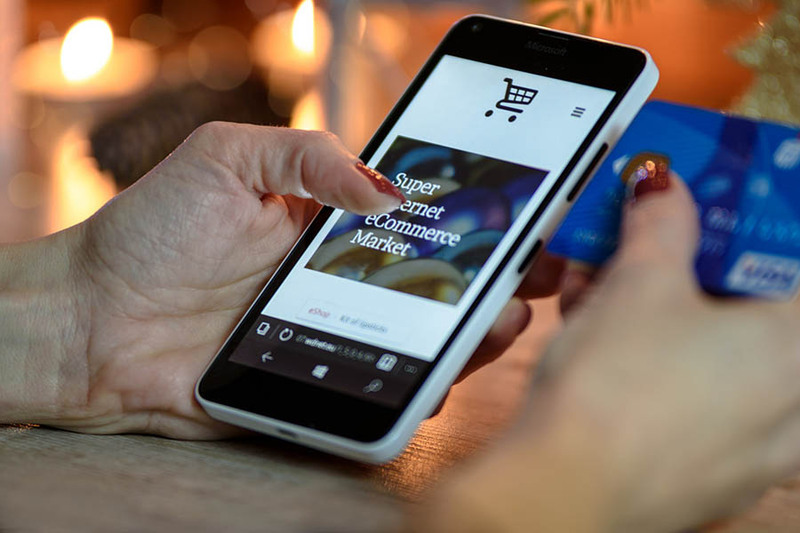 Putting special attention into even these most basic of website fundamentals can significantly improve your users’ experience during their holiday shopping. Shoppers will naturally feel a sense of urgency to buy if they know your limited-edition, few-in-number, or wildly-discounted product won’t last long. Use language that reminds shoppers to act quickly to score the best deals. 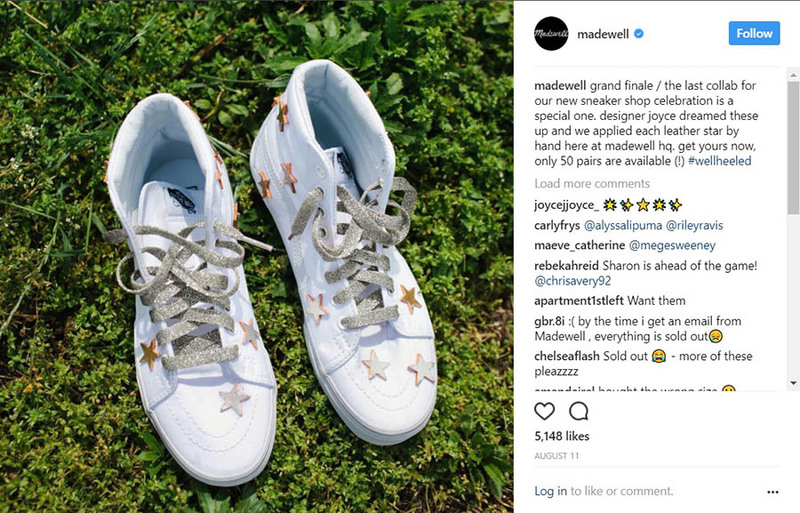 Powerhouse retail brand Madewell offers customers a product exclusive — enticing buyers to act quickly. Well before the actual Black Friday/Cyber Monday crowds hit your e-shop, you can outfit your site to prep visitors for approaching sales. Consider updating your homepage with a special Black Friday header or landing page signage that cements SALE into your customers’ minds — especially those who are conducting their holiday gift-giving research now. 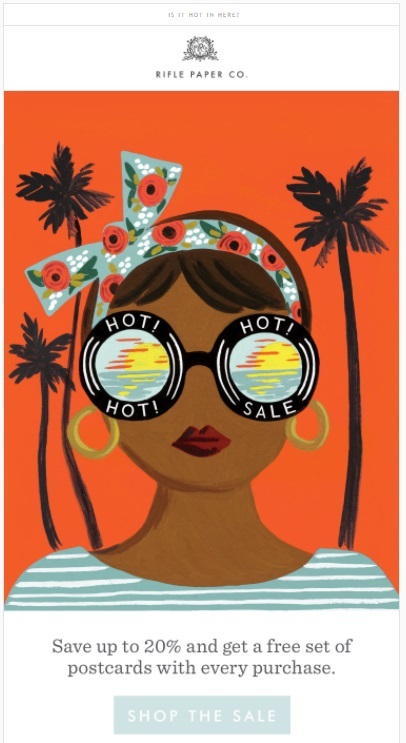 Clothing company Anthropologie displays sale signage on their site homepage, inviting visitors to engage. Hopefully, your blog is regularly outfitted with quality posts that are relevant and engaging. If it’s not, get writing. A blog consistently updated with useful content brings visitors back to your site and builds your brand. Use friendly, personable language that establishes you as a trusted authority in your field or industry. In the next few weeks, consider publishing useful holiday shopping content, like curated gift lists or helpful instruction guides (wink, wink) that feature your products and provide a service to customers. Media entertainment company Brit + Co compiles helpful content for visitors — a creative way to feature their products. Influencers are called influencers for a reason. Get your products in front of the web’s most influential people and you could be rewarded with more traffic to your site — and ideally, hoards of new shoppers. 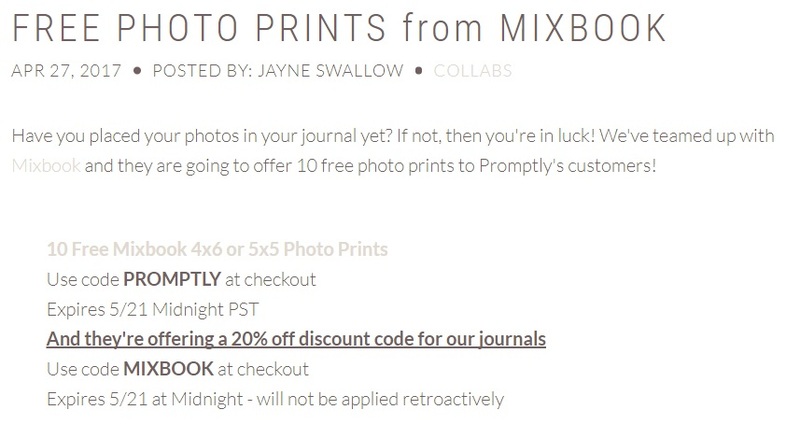 Journal supplier Promptly collaborates with photo service site Mixbook to influence a wider audience of consumers. Pitch your products to other sites (for their gift guides, guest posts, or other content), and you’re inviting a whole new set of eyes to explore your offerings. Score! Word-of-mouth marketing is powerful, especially in e-commerce. With prompts on your site or through after-purchase email messages, invite your customers to leave reviews of your products. Share the glowing ones with new customers (and turn them into repeat customers) or to persuade on-the-fence buyers. Bring attention to the superstars championing your products or services: your customers. Profile their unique story and how your business helps them achieve success. 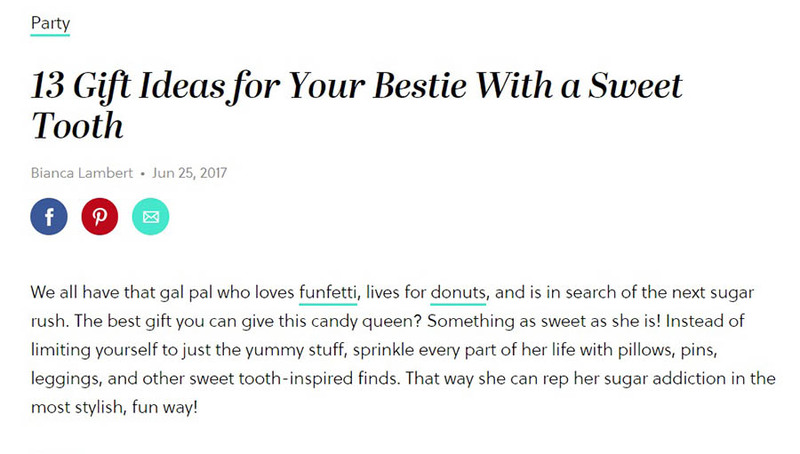 These stories (like our own tales of a millennial-minded online publication creator or writer looking for a quick way to set up a website) will inspire other consumers to engage with your brand and, ideally, make purchases. If you’re looking to go even more out of the box, try these other creative promotional ideas. And lastly, know this: according to Adobe, retailers who invested in mobile, email, and social channels have seen a 30 percent increase in sales on average. That could be a major thumbs up for your site if done well. So plan now. 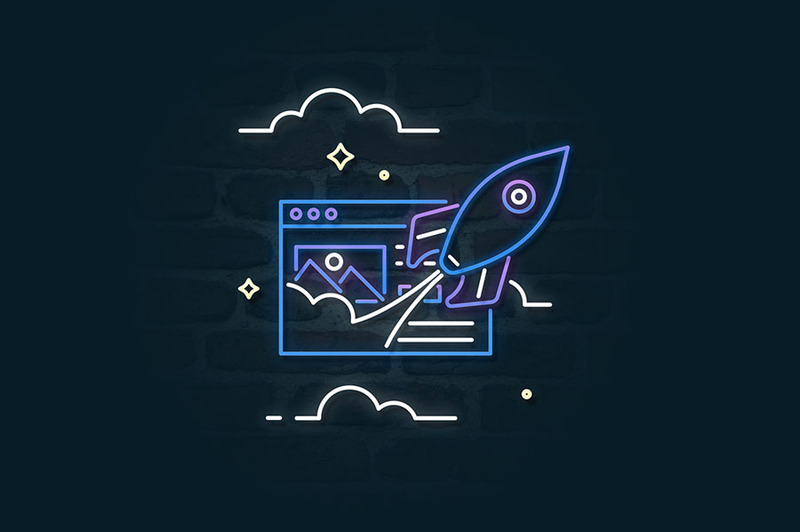 As is necessary for success in all parts of your website, a site that’s functional and ready to deliver during the fall’s killer shopping holidays depends on your website’s foundation: your hosting provider. Your provider should be reliable and helpful, and at the most fundamental level, keep your site up and running 24/7. Yes, a good hosting provider is essential. So consider: can your hosting plan handle surges in traffic that may occur during Black Friday/Cyber Monday sales? Can it keep you safe from virtual vulnerabilities? And if your site does go down, will be you be compensated by an uptime guarantee? Based on your needs, you may need to consider upgrading to a plan that can do more heavy lifting during the rush. Not sure what plan is best for your site? Chat with us. We’ve totally got your back. Need to upgrade your hosting before the big day? DreamHost has the perfect plan for your website. Before you can go about drawing in customers with deep discounts, you need to make sure your site is actually outfitted for e-commerce (if you haven’t already). Whatever tool you use — like Woocommerce or Shopify — get it up and running well before the big day. Ensure that it’s capable of handling your site’s crowds and that it allows customers to make purchases using simplified checkout processes. A vital part of building trust with your clients (and ensuring that they make return visits) is shopping safety. Shoppers — especially ones with the seasonal inclination to splurge — want to know that their information is safe on your site. In fact, more than 50 percent of internet users avoid buying online because of the fear their financial information might be stolen. That’s a big reason to think secure. To remove worry from customers’ minds, display prominently on your site’s checkout pages signage that proves it’s safe to shop with you. 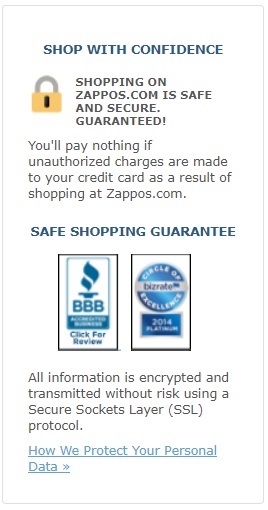 Zappo’s safe shopping signage puts customers at ease. More often than not, your hosting provider can help you get set up with a free or low-cost SSL certificate (an authentication and encryption system — meaning, data is transferred online safely). 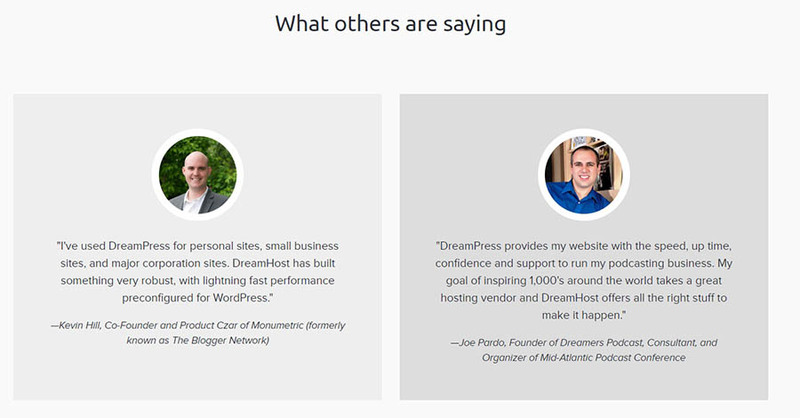 If you’re a DreamHost user, we’ve got you covered. Another way to ease your customers’ minds about security: share the other websites that have featured your products. Display endorsements from other blogs and companies, (it’s okay to toot your own horn!) and give your products and services an outside seal of approval. Bath product company Tubby Todd boasts the backing of other sites that help establish trust and authority with potential customers. 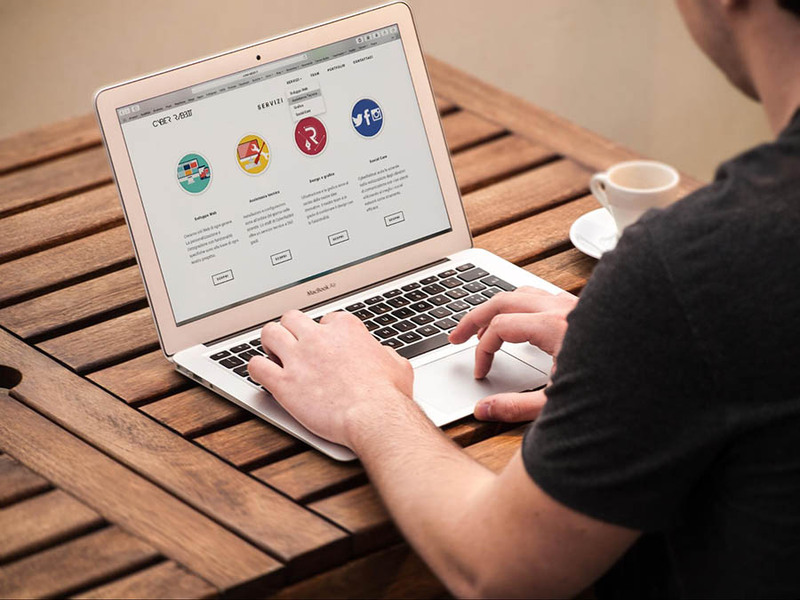 Visitors to your site will see the buzz already building around your business from other familiar companies and will be more likely to engage. Consider it the e-commerce version of FOMO. These trust-building measures that can make a world of difference, especially on those big shopping days. It’s inevitable: some customers are just not going to love their purchases. In 2015, Americans returned more than $351 billion in merchandise — $68 billion of that coming from holiday sales. Additionally, the return rate for online purchases is more than three times as high as items purchased in-store, and 92 percent of customers said they would repurchase something if returns were easy. That being said, if you want to make sure your business stays on good terms with customers, you need to make returns easy and hassle-free. REI’s return policy is clear and easily found. First, make your return policy easy to find — in a limited number of glances or clicks. Keep your customers loyal by avoiding “the fine print” mentality; clearly state shipping costs, deadlines, and return policies (and make it big enough to read, please). With so many visitors primed for buying, you want every aspect of your site to be optimized for the best possible web experience. With eyes on increased sales, more traffic, and a loyal following, fine-tuning your site in these specific areas will help you build your numbers. 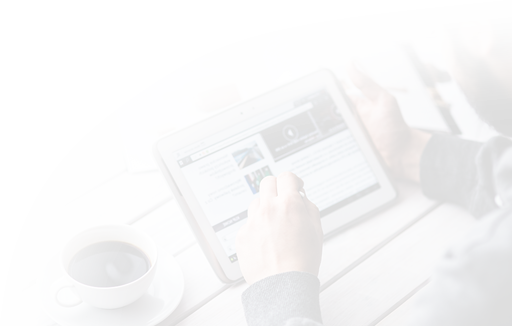 We could easily inundate you with reasons why having a mobile-responsive site is so important, but we’ve already been there, done that. So instead, we’ll just pass along a few key statistics to prove our point. Like the fact that Black Friday is big (no, let’s say B-I-G!!!) for mobile. Last year, both Black Friday and Cyber Monday were record-breaking days in retail history for e-commerce, with sales surpassing $2 billion on mobile. Mobile is also crucial for good SEO (more on that below). How? Well, having a site that’s mobile-responsive increases your chances of earning a high ranking in search engines, and therefore, your chances of being found by potential customers. Your site can look snazzy on a desktop, but if it delivers a disappointing mobile presence, then you can say adios to your sales. Ensure that your site’s template is mobile-responsive. Make sure that on a mobile device, your site loads fast, links work, images load correctly, and any pop-up forms display correctly. Consider utilizing the AMP initiative to upgrade your mobile experience for users. As a small business or web owner, you’ve probably already had a rudimentary education in the importance of SEO. Simply put, SEO = positioning your site for discovery in search engines. That is, after all, where most people begin their holiday (or basically any) shopping — a simple search. More than any other shopping season, you want your site — and by extension, your products — to have the best chance of meeting the eyes of potential customers. So prepping your website by establishing good SEO is a task of high importance as you anticipate Black Friday and Cyber Monday. Even if you’re a beginner, you can take a few small steps to improve your SEO. But remember, SEO gains take time, so get started now — the sooner you optimize, the better. Ensure that you’re using a quality hosting provider. (Ahem, over here. Waves.) This can make a big difference. A reliable hosting service that helps your site perform will aid in your site ranking highly. Use an SEO plugin, like Yoast. Use a responsive design (meaning: works across devices — see the “Make Your Site Mobile” section above). Get wordy! Long-form content is rewarded by Google algorithms so go in-depth on your blog posts and be comprehensive. Provide value. And don’t forget to analyze and organize content. Perform a content audit if necessary. Optimize your images. Resize your photos to increase load times and use the right file format. Oh, and no “asdfjk.jpeg” filenames here. Get descriptive on your photo files. Really, it helps. The Black Friday/Cyber Monday shopping weekend is crucial for your business or website. Fail to simplify your navigation, and you could be looking at potentially lost sales and disengaged — not to mention frustrated — customers. Don’t squander your opportunity by making your website a mess of mazes and riddles. It’s got to be easy to navigate. Whether that means streamlining your design or improving the menu, tidy up your site structure. Simplify searches and checkout processes so that your customer can get from Point A to Point B in a minimal number of clicks — and you can make those sales that much faster. Choose a good hosting provider (Check! We’ve got your back). Leverage browser caching. If you’re using WordPress, you can use a handy plugin, or utilize our services. Get rid of outdated or unused plugins. Implement open-source AMP technology (a new Google-developed initiative designed to help developers build sites run optimally on mobile). Use the AMP WordPress plugin to start. Once you’ve used your load-speed toolbox, test your site’s performance with Google’s PageSpeed Insights. While shopping, your customers may have an urgent question about sizing or shipping (or a million other things). If possible, be available to answer their up-to-the-minute questions during the holiday shopping weekend. If you anticipate heavy crowds, assemble a team to help address consumers’ pressing needs and leave them with a positive and memorable customer service experience. Enable a live chat function on your site or have a customer service email readily available for them to contact you — and be waiting by the keyboard. Glasses retailer Warby Parker makes customer service easy with accessible buttons. The best way to anticipate any potential glitches or problems with your site during the holiday shopping e-rush hours is to test it. We know we sound like a broken-record-meets-Jan-Brady, but: TEST, TEST, TEST. Think about it: you wouldn’t turn your class’s final term paper in without reading through it, using spell check, or editing for grammar mistakes. And the way your site looks is just as high-stakes for your business, so perform necessary trial runs. Test your links for functionality (this handy WordPress tool can help), analyze responsiveness across devices, check load times, and even request feedback from visitors. The more you can correct beforehand, the better. By now, life has taught you that even the best-laid plans sometimes go awry. In your preparation, you should try to account for unforeseen circumstances (like website downtime) and — dare we say it — emergencies you might encounter during the holiday shopping rush. Luckily, preparation can help you anticipate some of those potential mishaps. Make a contingency plan for situations that may arise — like an “if ___, then ___” exercise — so that you can quickly correct problems (and keep your blood pressure low because #holidaystress). To help prevent unanticipated issues, take a few prep steps, like analyzing your site’s past Black Friday statistics (see the next section) and asking helpers to stand by. A good rule of thumb after executing a plan is to review your outcomes. Whether you utilize Google Analytics or another stat-gathering program, gather the data and use it to make informed decisions on how to improve your site. Don’t let those numbers go to waste — they provide you with valuable info about customers’ behavioral patterns and a starting point for further improvement. Dedicate specific time to reviewing last year’s data (as you prep for this year’s shopping rush) and this year’s — so that you can continue to reap the financial benefits of the holiday shopping season. Black Friday and Cyber Monday are a big deal for your website, and the time to prepare is, well, yesterday. If you haven’t started preparing your site and strategy, get started now! With a website primed for handling the e-crowds and a winning marketing strategy, you’ll be able to conquer Black Friday and Cyber Monday and turn those seasonal shoppers into frequent buyers. So tell us, webmasters: how are you prepping your site for those Thanksgiving early-birds? How are you planning now to fashion great discounts and draw in shoppers on the web’s biggest buying days? Share your not-so-secret secrets with us on social media @DreamHost!